No matter how much we talk about the gradual change in the definition of love and how the basic compatibility has undergone a lot of change with people becoming more career-minded and believing in giving a lot of space in relationships. In spite of young couples projecting themselves to be as modern there is a charm about romantic dinner dates that has still not gone out of fashion. Girls today are increasingly more career focused than they used to be, but still they never fail to look their best slipping into a nice dress or corset or gown to go out for dinners and so for the guys as well. Shopping the right clothes for this romantic night is comparatively easier as compared to getting the right make-up to bowl him over by your looks and the charm that you will ooze as the night gets younger. Mascara – mascara adds a lot of omph to your eyes by enhancing your eye lashes giving a very dreamy look that can keep your guy intrigued to your eyes. Mascara has a very minimalistic look so girls who love to keep it natural need not worry that they might go overboard with it. In matters of your eyes go for careful shopping and buy mascaras from brands that suits your eyes the most. Kajal – this is one product that people just cannot ignore and majority of the girls feel incomplete without having them. It enhances your eyes and makes it look all the more beautiful and if the kajal is drawn well around your eyes then you need to worry about anything else and be rest assured that your eyes will do the talking for the night. Again a very basic make-up that a large chunk of girls just cannot live without. Lip Gloss – this glossy product adds beauty to your pouts so that you can pose the perfect pout. Unfortunately lip gloss is not the trendiest lip product at the moment. However the reason for it still being on this list is primarily because many girls who like to keep their look minimal love their gloss that just add a dash of shimmer keeping the natural lip color in place. Red lips – this is one trend that is bang on and has caught the fancy of all girls. But going the red lips way is tricky because you need to wear the right red because if the red does not suit your skin color then this fashion trend can go terribly wrong making you look nothing less than a wannabe who follows trends blindly without having the confidence to pull it off. So be careful and wear the red that suits you. 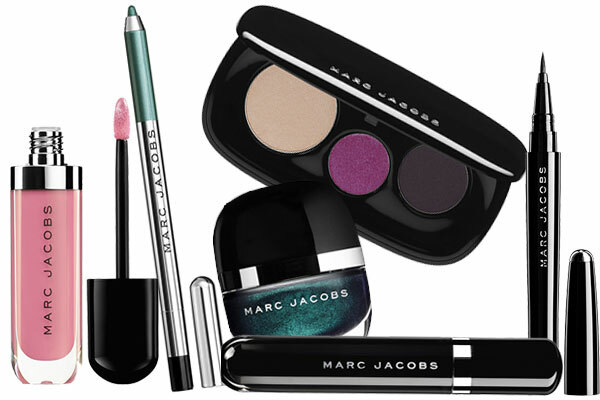 Eye shadow – if you want drama then this is the product you need! The colors splashed above your eyes does give you a very dramatic look and that is the only reason why people love it. Though a little too loud for a dinner date but nonetheless there are a few girls who just love to apply it. So for them, kudos! Blush – blush is the product that ups your cute quotient and makes your partner spoil you rotten, the hues of peach, baby pink and cherry red makes you look lovely. But care must be taken that you do not overdo it and keep it minimal to have that lasting impact. Always remember less is more! Shopping the right make-up kit is very tricky because before doing that you need to understand your face cut very well. Once you know the right angles and the spots that needs enhancement, buying the products after that is most suited.